Lying at the northern end of the Outer Hebrides, the Isle of Harris is a stunningly beautiful island. With astonishingly white beaches backed by wild ragged hills Harris is truly remarkable. During thsi fantastic trip we would aim to visit the islands of Taransay, Scarp, Scalpay and the Sound of Harris. 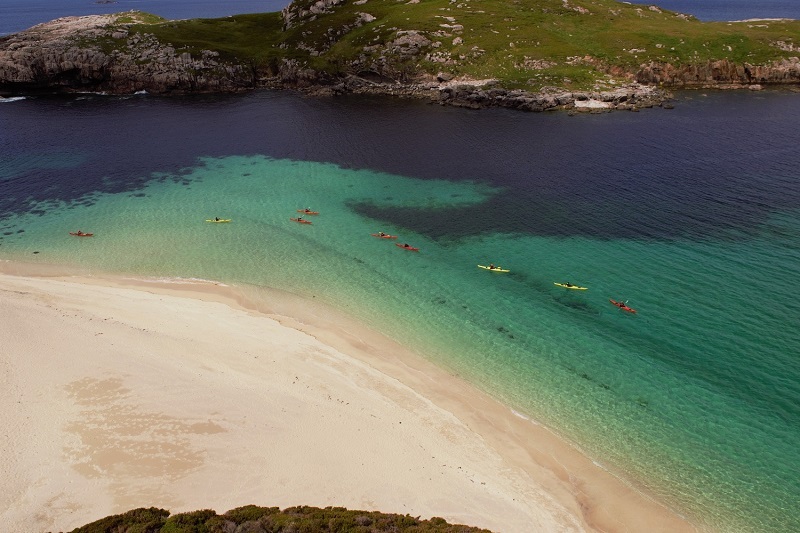 Highlights include the totally enchanting island to Taransay with its glorious beaches, teh island studded Sound of Harris, a haunt of otters and seals. There are caves that line the coast of Scarp, and the mountain backdrop to the sea lochs north of Huisinis. Finally there is the wild rocky loch encrusted east coast of Harris, with new vistas around every headland.